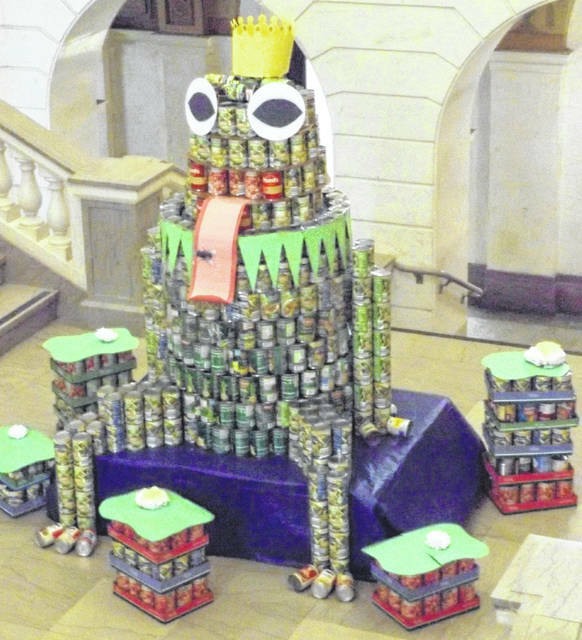 As part of the CANstruction 2019 food drive, employees at the Clinton County Courthouse built a large frog on the staircase landing of the 100-year-old building. The canned goods that were utilized in the various CANstruction projects will end up in the Clinton County homeless shelter food pantry. The frog’s body consists largely of cans of peas and green beans. Given the crown on top of the frog’s head, the frog apparently once upon a time was a prince.